The TV personalities donated to help sponsor the movement against dog slaughter. 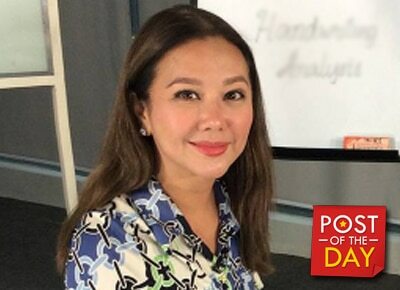 Korina Sanchez took to Instagram to express her gratitude to Willie Revillame and Coco Martin for supporting the campaign against cruelty to animals. The actor and TV host both gave donations to the campaign and with their help the police and animal welfare groups were able to raid a slaughterhouse and jail two restaurant owners who serve dog meat. “These are our newest heroes: Superstars Coco Martin and Willie Revillame! “Coco is s certified dog lover while Willie is a supporter of most advocacies that are good. Both of them donated to sponsor the movement against dog slaughters and against restaurants that still serve dog meat ---- which is AGAINST THE LAW,” the broadcast journalist said in one of her posts. The Animal Welfare Act has outlawed killing dogs for trade and IT IS ILLEGAL for restaurants to serve dog meat. Thank you Coco and Willie...because of your recent donations we were able to raid a slaughterhouse and jail two resto owners who serve dog meat. PALAKPAKAN???????????????? Love you, Coco and Willie! ??????????? ?